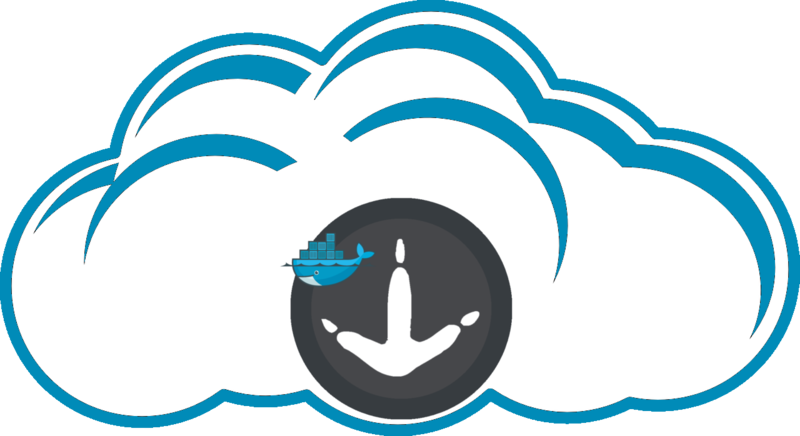 As previously anticipated in the previous blog post, here i explain what's going on with Sabayon Docker images, and how can the Official Sabayon images help you in developing/deploying your application. In this article, i'll show how to build Sabayon/Gentoo packages using Docker. In future, i'll write also a post also on how to track the packages remotely with CircleCi. Docker allows you to package an application with all of its dependencies into a standardized unit for software development.Docker containers wrap up a piece of software in a complete filesystem that contains everything it needs to run: code, runtime, system tools, system libraries – anything you can install on a server. This guarantees that it will always run the same, regardless of the environment it is running in. We can look at Docker like a box which can be filled to be used like an entire OS, but at the same time share the kernel with the host (sorry to be much semplicistic, we are not discussing about the Docker technlogy here). The Sabayon images provides the software stack present on the Entropy repositories, thus allowing easily to use emerge (Gentoo package manager), equo (Sabayon package manager) and Eit (Sabayon repository manager) in an every linux distribution (So, also aliens can use it). sabayon/molecules-amd64: This image features the Sabayon Molecule tool with the molecules git repository inside, it is just an aim to easily let people burn their custom spins. The other images that you can see in our public profile are used to convert a Gentoo image to Sabayon, everything translated in Docker steps. While the sabayon/base-amd64 image can be used to deploy your services, and be the base of your applications container, the sabayon/builder-amd64 is a ready-to-use image to build package, it's all already setup for you. As already said, i'm going to cover four cases here, then you are free to pick up the solution that suits you well. In this part i'm going to talk on how to build packages locally, without having to setup your environment. I'll start from the easier task. Building packages with your machine. Let's say that there is an ebuild available in an overlay, which you are interested in and is not available in Entropy. Consider of course, that not all ebuilds will compile, some are not mantained and not work as expected. We are going to use the sabayon/builder-amd64 image to build portage packages. Here we need docker to be installed in your machine, i'm assuming that you are running Sabayon here, but this is merely optional, docker can be used also on Debian, Gentoo, Fedora or whatever you want. There we go, this is the unique software that we actually want. Note: If you don't want to use sudo on each docker command, put your user into the "docker" group. Let's say that now we want to compile app-text/tree. Now the builder machine will try to compile your package downloading first all the (available) dependencies it can find from Entropy and setting your container to face the compilation phase properly. When docker run will exit, you will find then your package under the "artifacts" directory under the directory where you launched the command. -v determines the mount of a directory between the host and the container. On the left side of the doublepoints ":" there is the host directory, on the right the container one. The host folder will be mounted on the directory specified on the container so we can share data. You might also want to save your changes to the image, meaning to mantain your building machine state. This can be accomplished with docker, using "docker commit". How to use this image is up to your imagination. Docker allows to share directories with the host system, gracefully mounting them on start up. We can specify to Docker in it's definition file that we want some volumes to not be shipped with the image itself, but instead being mounted on the host system everytime we run it. As for example, we can tell to Docker to use the directory foo as our /usr/portage directory, allowing us to cache Portage files, including distfiles and packages. If you don't have already pulled the docker image (docker pull sabayon/base-amd64) this will be done automatically, leaving you to use just one command. Going to cover a minor example regarding sabayon/builder-amd64 image here. You can of course customize it further, and replace all the configuration that's already been setup on the Docker Image. Let's create 5 files in a directory, corresponding to the customization you might need from your building process. Exporting those files to your container is a matter of adding an argument to your docker run command. In this way you tell to docker to mount your custom. * file inside /opt/sabayon-build/conf/intel/portage/package.*/custom. * inside the container. Keep in mind that the container have the portage directory located at /opt/sabayon-build/conf/intel/portage/ ; the /etc/portage folder is then symlinked to it. Attention! Remember also to use absolute paths or docker will fail to mount your files in the container. With spawning a compilation, the second line (with the package you wish to merge) is it possible to point to a specific version of a package. For example, atm I'd like to merge app-editors/atom-1.2.0 from the Sabayon overlay, do I have to enter it as `app-editors/atom-1.2.0 --overlay sabayon` or `=app-editors/atom-1.2.0 --overlay sabayon`? Died at /builder line 18. Have ya considered using the code-formatting HTML code provided by codeformatter.blogspot.com? In the case of your first command mentioned in the "3) Spawning..." section the HTML code would be: http://paste2.org/NJ9st0ke (using a pastebin as inserting the code here directly gave a "HTML cannot be accepted" error).